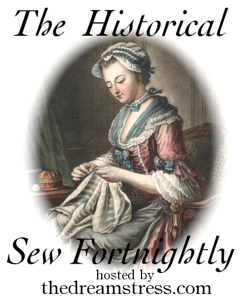 I had some difficulties figuring out what to make for the HSF Challenge 14 – Eastern Influences. 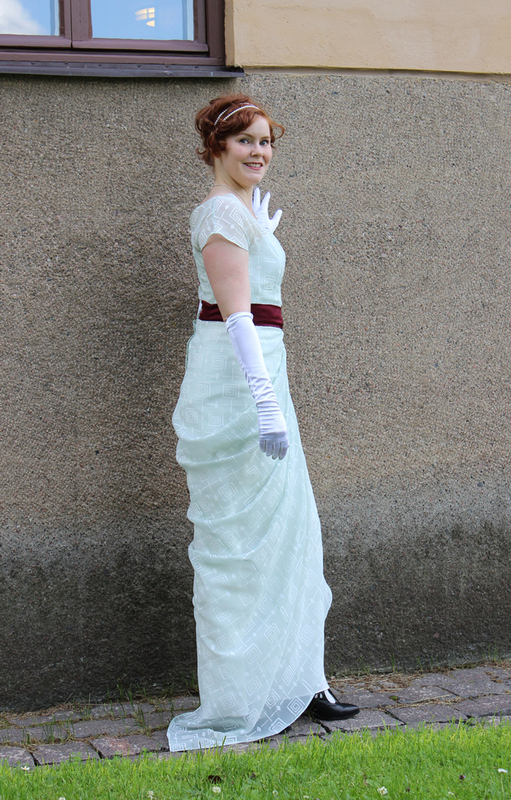 I didn’t want to start a too big project, being so busy with the Titanic dresses at this time. After much hesitation and changing my mind I finally decided to use the 1,5 m of light pistage-colored organdy already waiting in the stash. It is covered in a geometrical pattern in the shape of 4cm big grecian keys. So perfect for the challenge. But I’m not much of a print person, and feared that the geometrical pattern would be too obvious, too silly or just simply destroy whatever I made from it. 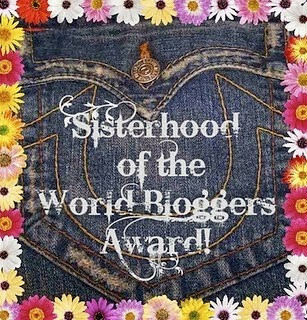 Ok, fears aside – what exactly was I going to make with it (that wouldn’t look costumy or silly)? 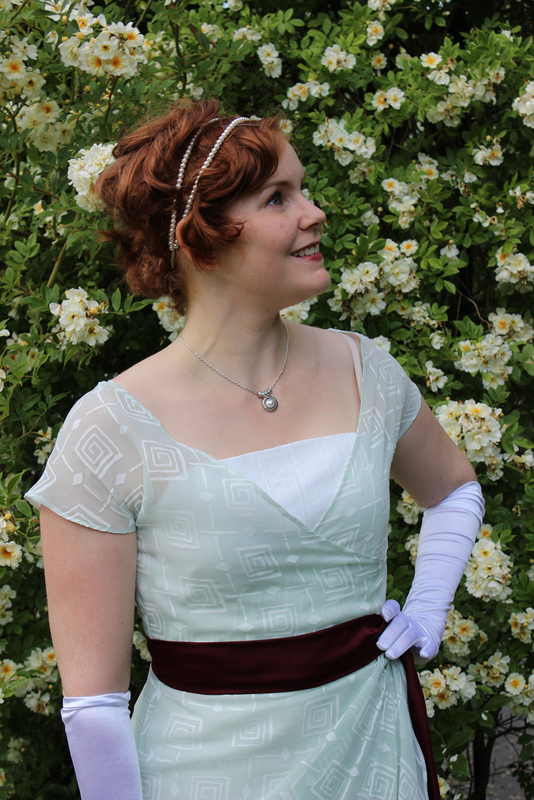 I had not enough fabric for a regency-dress, and the fabric was not suitable for anything heavy like a round skirt or a stiff bodice. What to do? The answer fell on me when searching the internet for inspiration for another project. 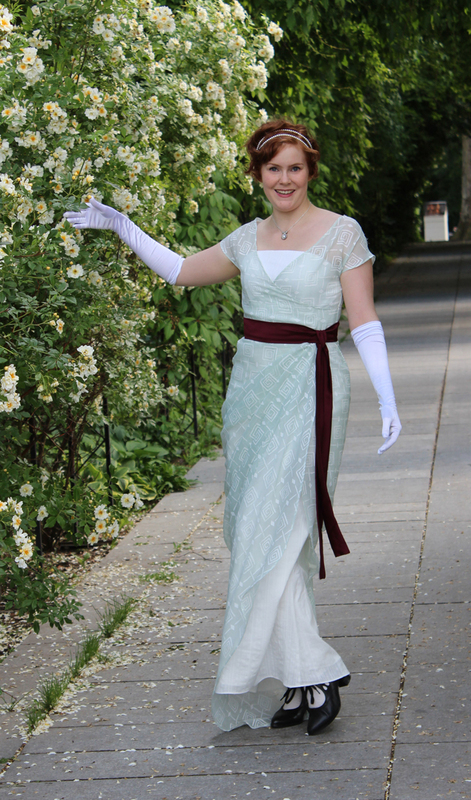 A Titanic era evening-gown. 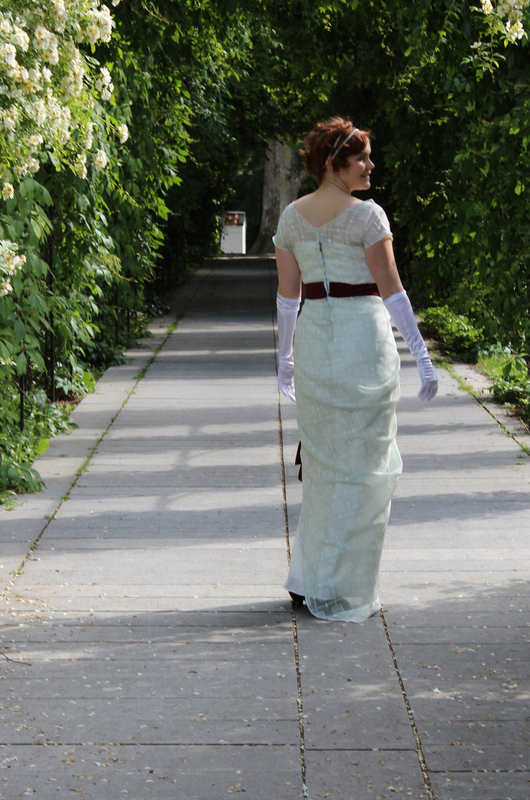 It seemed perfect, and already being totally emgrossed by the early 20th century I didn’t hesitate. I quickly made some sketches and played around a bit with the fabric on my dressform to get the basic shapes and cuts figured out. Then I started drafting the pattern. 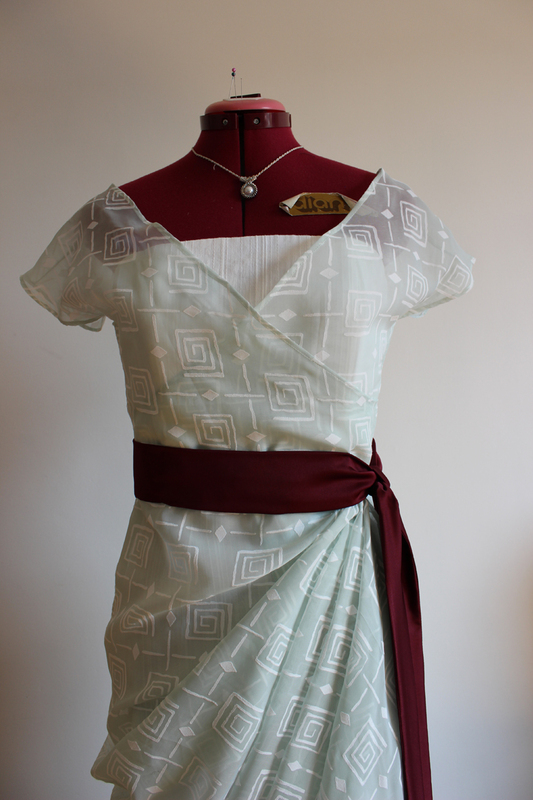 I wanted a cross-over bodice with a short kimono-sleeve attached to a draped skirt. 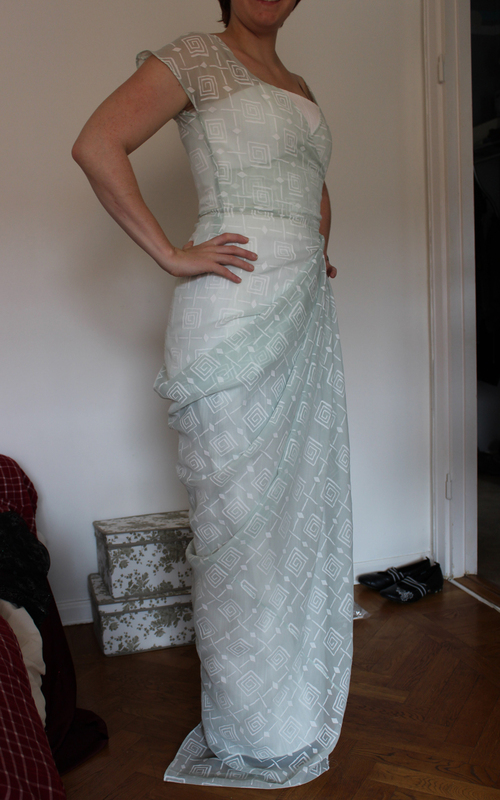 The bodice was a bit tricky and I decided to try the paper pattern on my dressform before cutting a toile. That impuls saved me making a useless mock-up. 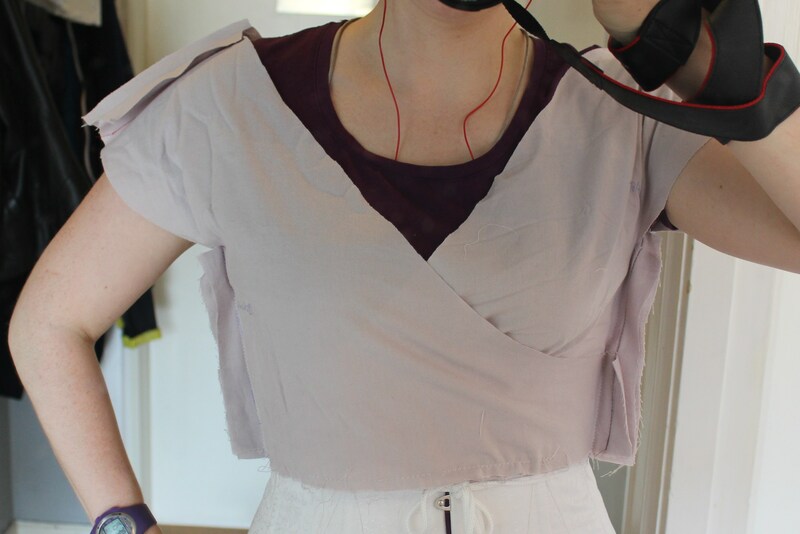 I tried but could not get the pattern and the dressform to co-operate, so I scratched the paper pattern and instead draped a bodice on the form. So much better. 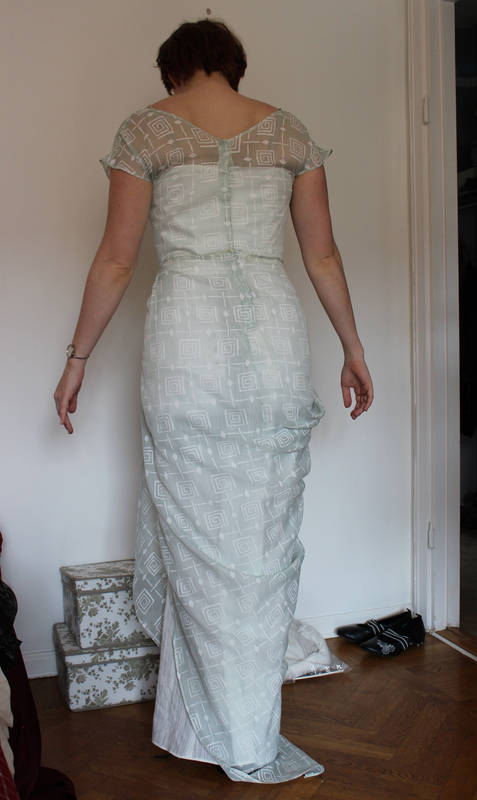 I then did the mock-up, tried it on and pinned all the necessary alterations. 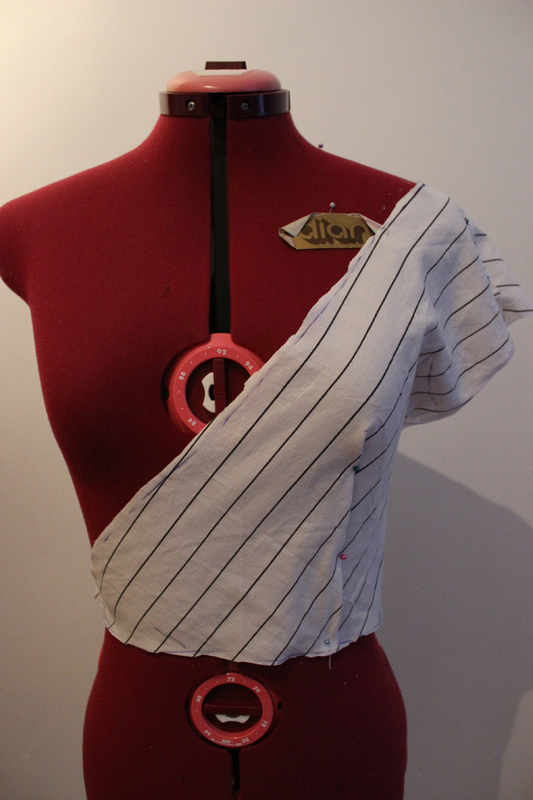 (It is not easy trying and fitting a back-closed mock-up by your self). 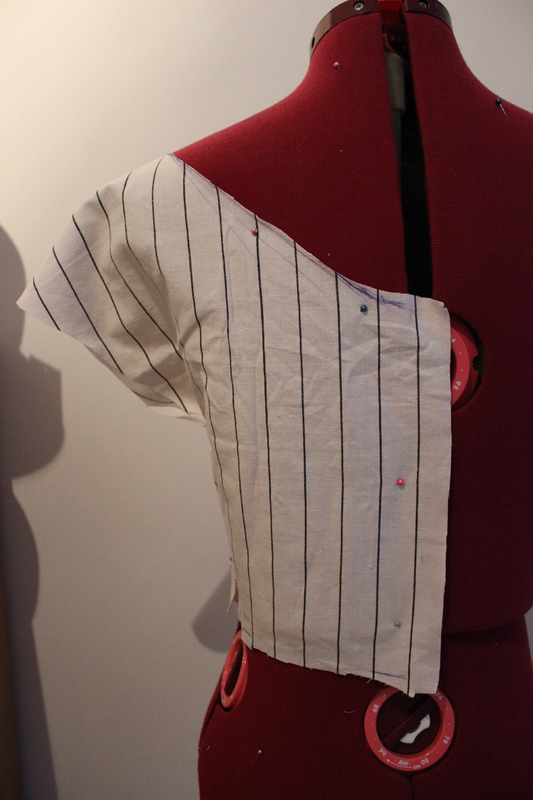 Ignore the huge seam allowance. 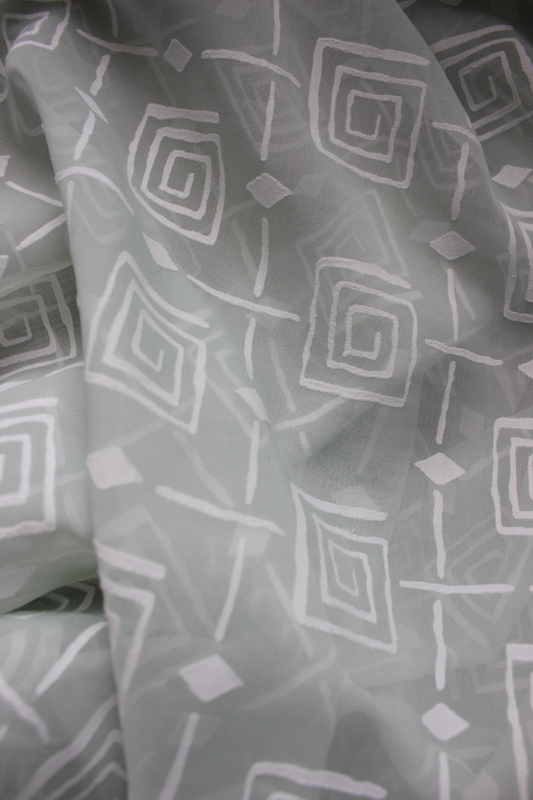 Since the organdy is so sheer I needed to make some foundation underneat – both for modesty and to get the right support and shape. 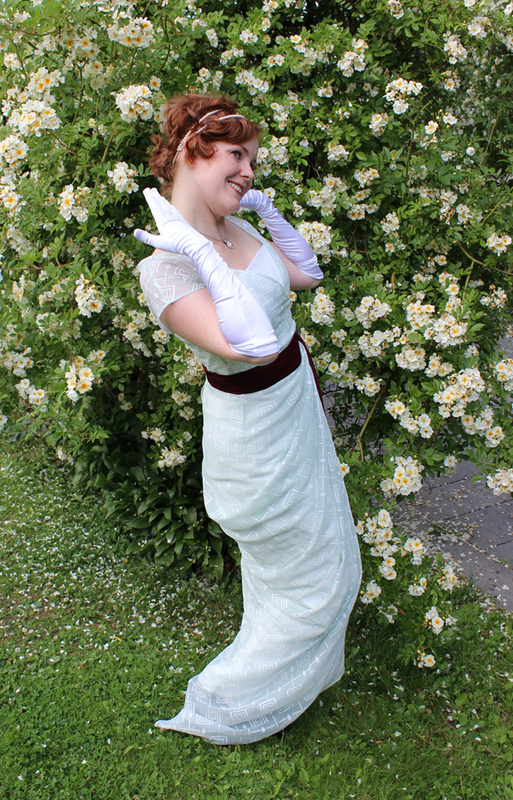 I used the the same white skirt as for my late Titanic dress, and drafted a strapless dress-bodice to attach the organdy-bodice on. Then it was time to cut the fabric. 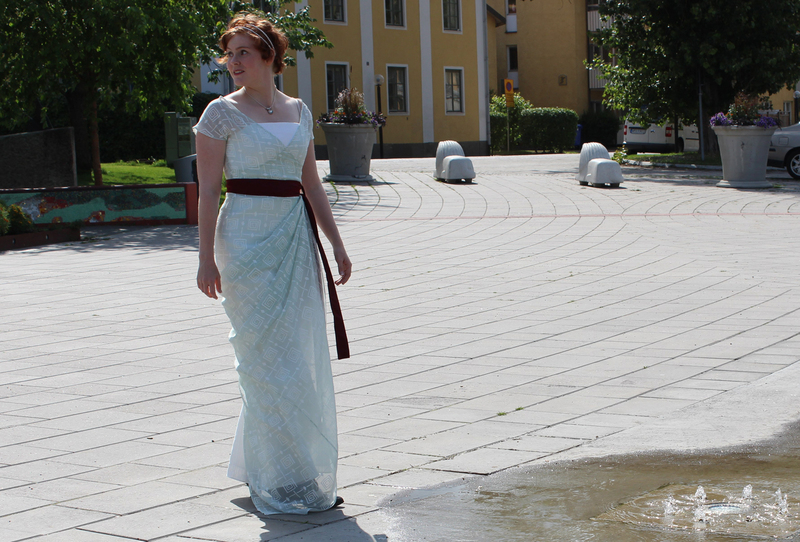 I sewed the foundation bodice and tried it on, then I stitched the organdy and draped the skirt on the dressform. 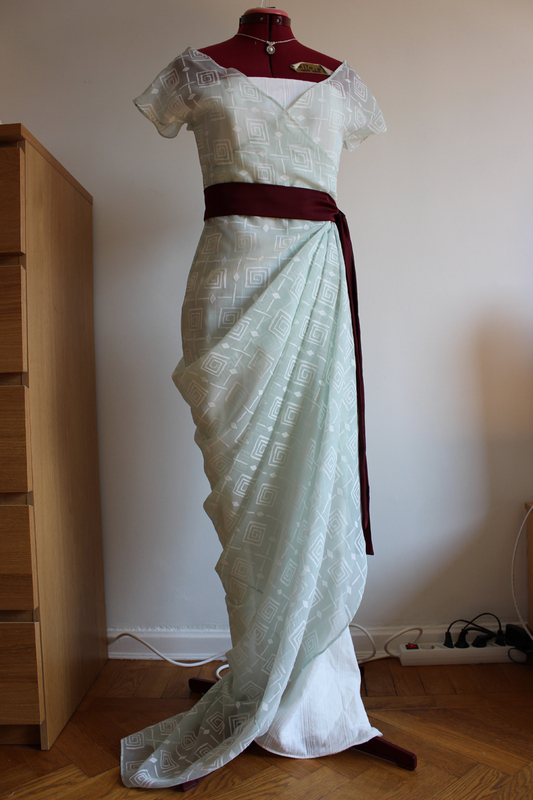 Everything went together fine and I just needed to make some minor alterations on the waist and shoulders. I tried the dress on and really liked it, but felt like something was missing. 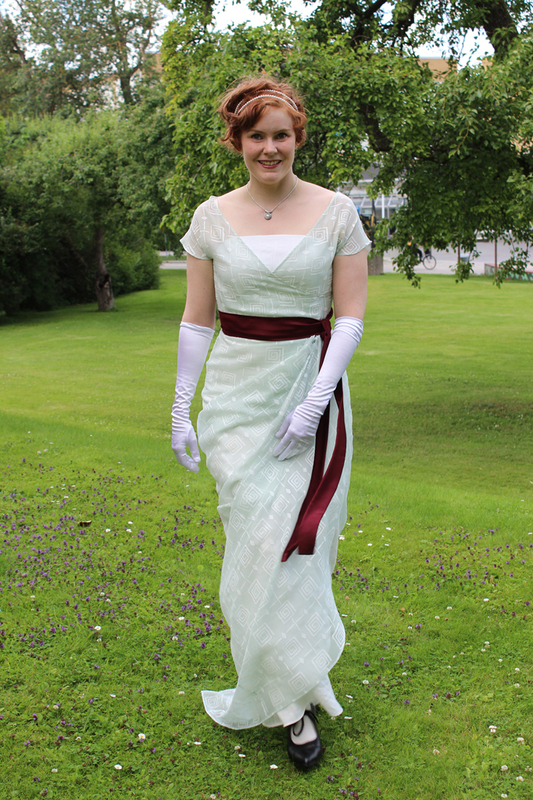 I rummaged around a bit for a suitable waist-sash, but neither white nor pistage seemed right. 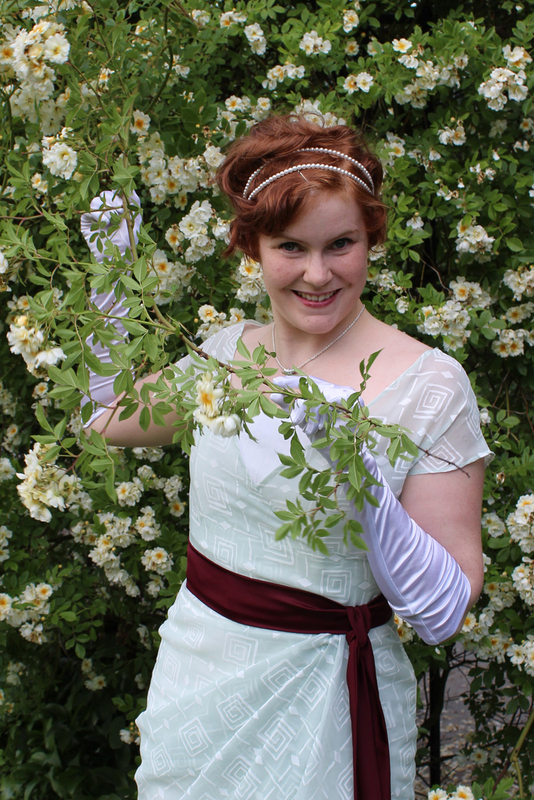 Then I found the vine colored sash for my sisters Titanic-rose dress, and it was perfect. 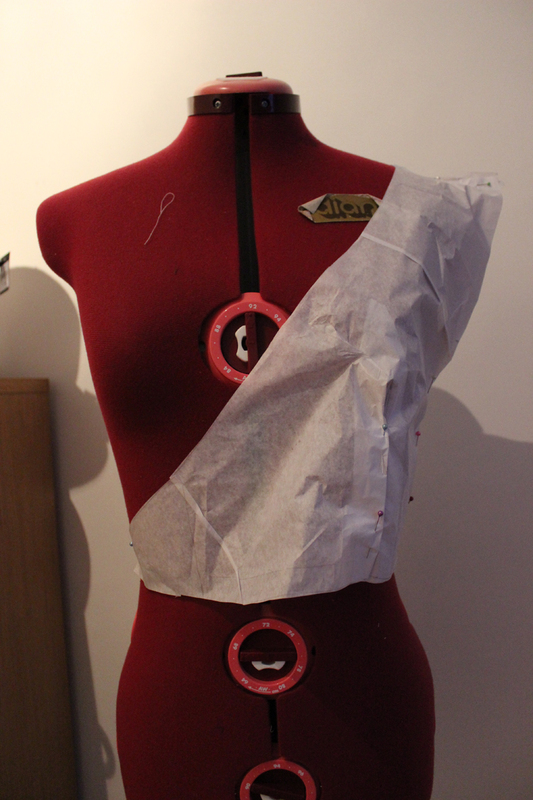 So I used whatever leftovers I had and made another dark red sash. 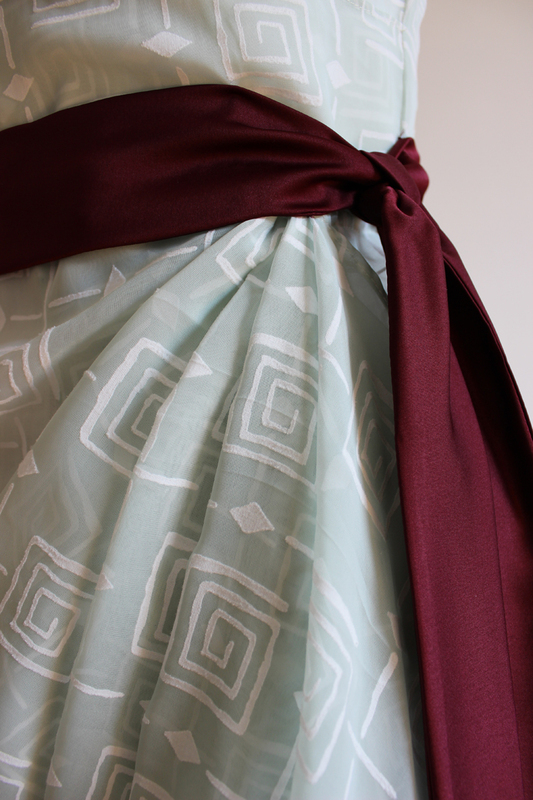 Detail of sash and drape. And the dress being worn. 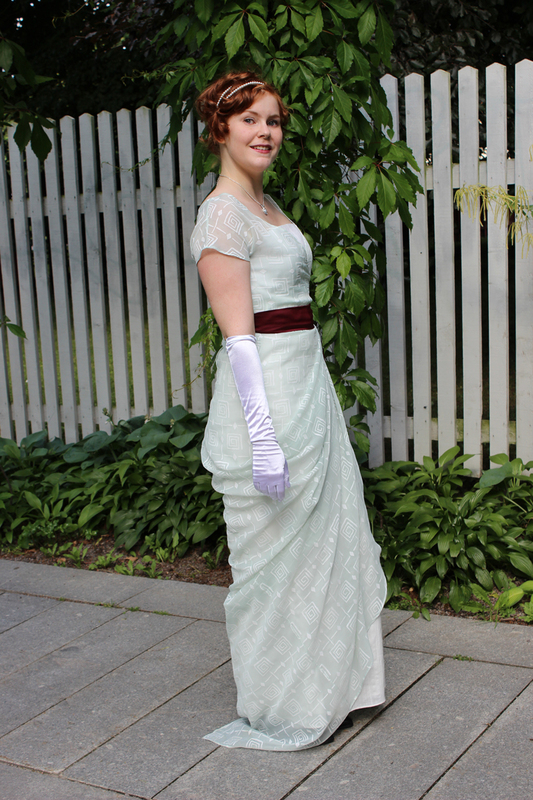 What: A 1912 evening dress. 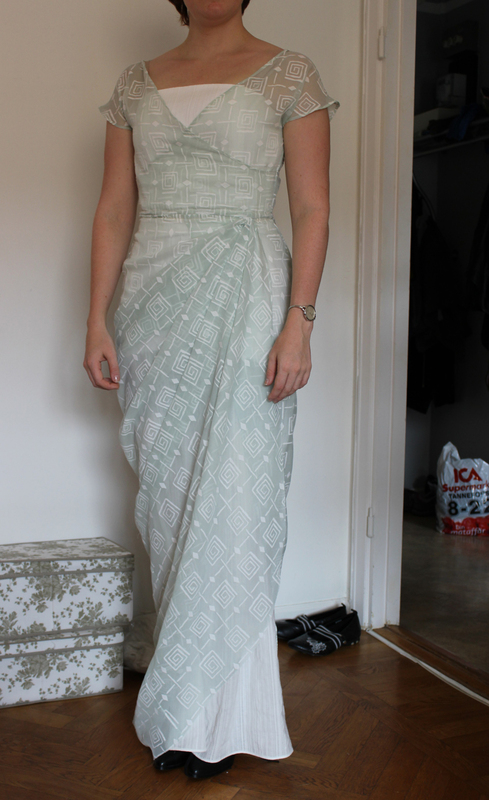 Pattern: None, I draped my own. Fabric: 1,5 m polyester organdy, 0,3 m white cotton voile and 0,5 m white cotton sheets for lining and interlining the bodice. 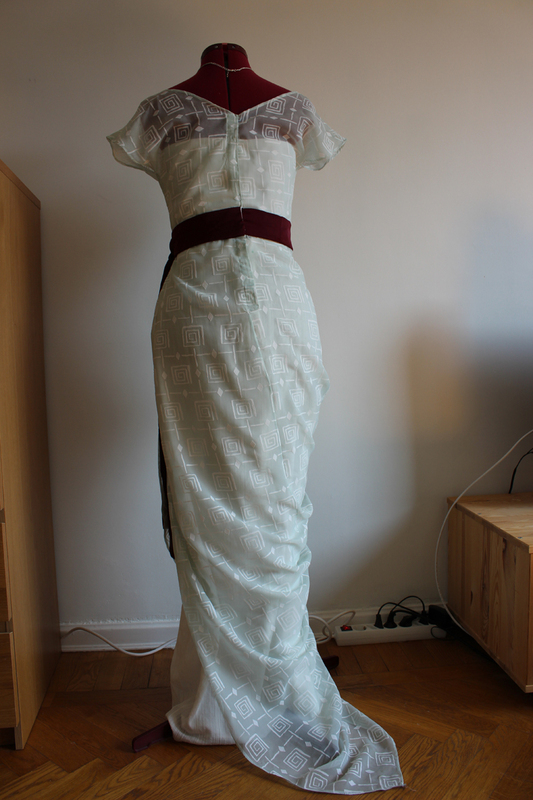 And 0,2 m vine colored viscose for the sash. 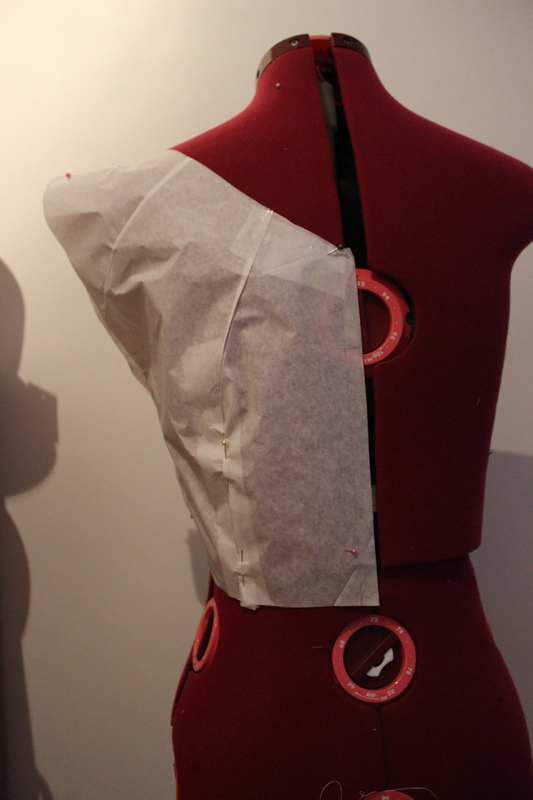 Notions: Thread, plastic boning, hooks and eyes and snaps. 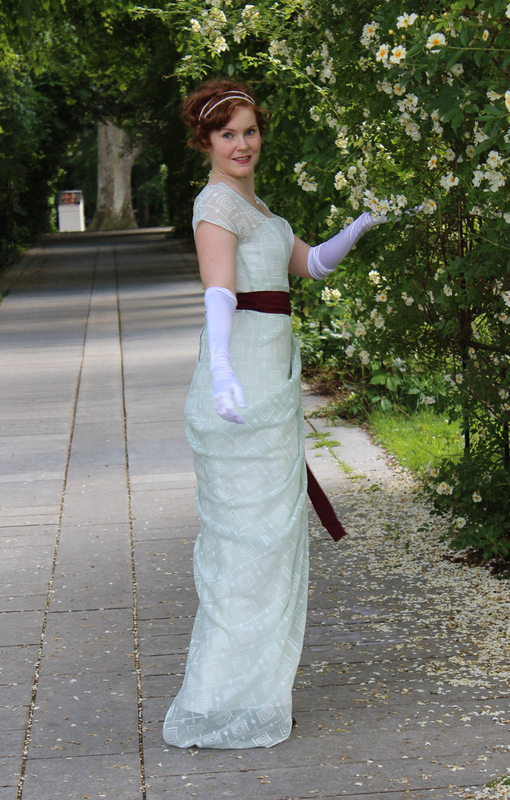 Historical accuracy: There are way too much polyester in it to be any good. 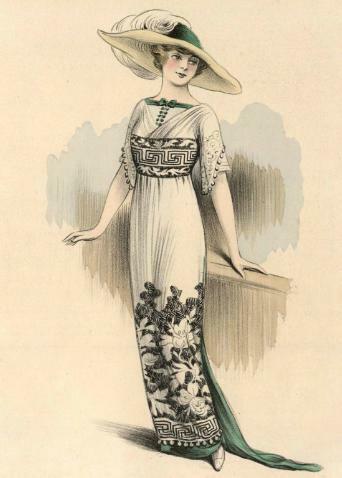 But I think the look and the overall feel of the dress is right. 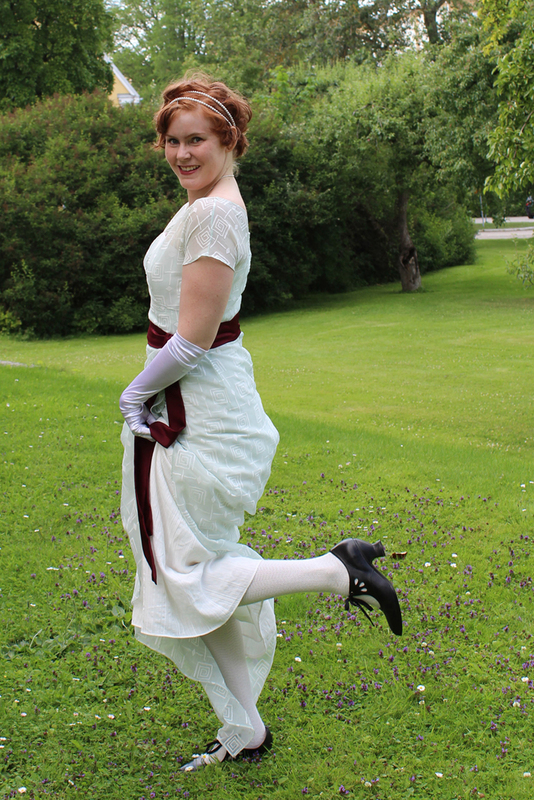 And according to Arnold they did use foundation-bodices beneath sheer and slippery fabrics. Maybe 6/10. Time: 15 hours (made it in a two days speedrush). Cost: 100 SEK (11 Euro). 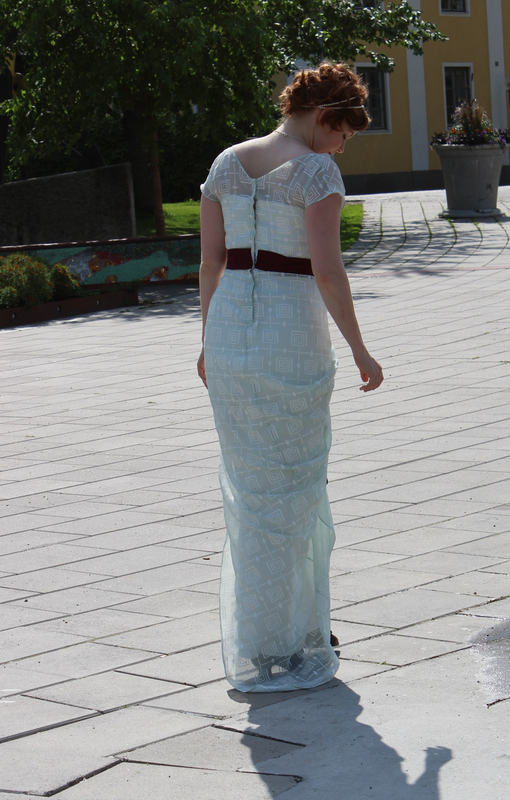 First worn: On the photoshoot July 5.